This quotation may be true, yet nevertheless we are justifiably proud of the awards that we win. Working with clients, design teams, subcontractor partners and others, we have won awards in health and safety, quality, architecture and design, engineering excellence and sustainability. They recognise excellence at all stages of the construction process including planning and design, materials supply and specification and interior design and fit out, while others recognise longer term post construction benefits, such as a buildings’ environmental impact or its aesthetic effect. In recent years our construction projects have won major awards from various reputable organisations such as the Royal Institute of Architects of Ireland (RIAI), NISO, Engineers Ireland and the Irish Concrete Society. 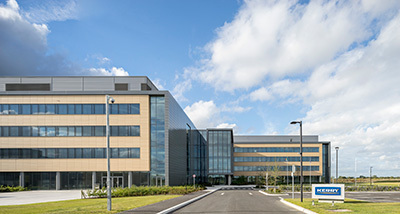 We have received many awards recognising individual achievement, such as a number of Construction Manager of the Year awards from the CIOB and other bodies, while specialist aspects of projects have also been acknowledged in areas such as sustainability and energy management and technical excellence. Construction Manager of the Year Awards 2015 Category 1.3: <€10- €30m Joe Hanlon won the Bronze Medal Mater Private Hospital, Dublin.